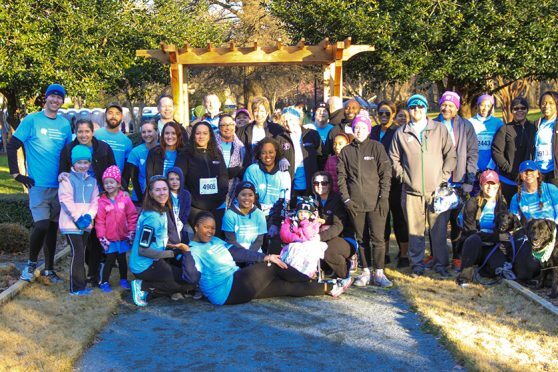 Many thanks to all who participated in Saturday, March 3rd, 2018’s Get Your Rear In Gear event which is sponsored by Charlotte Gastroenterology and Novant Health. Proceeds from this event provide funding for colonoscopies for those in need. All of the funds raised stay within the Charlotte Community! Thanks to our supportive physicians and staff members, Charlotte Gastroenterology was the largest Corporate Team with 71 registered team members. We were also the largest corporate fundraiser; raising $5,392.00. On the day of the race, 5 team members finish in the top 5 in their age group. Congratulations and many thanks to everyone who participated. It was a great way to support our community and support of the Charlotte Gastro team.